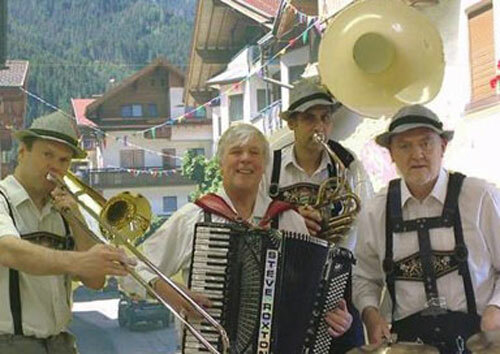 This fully professional Oompah Band comprising 3 to 4 musicians of which two provide vocals with a program of the most famous German Drinking Songs which will give your event an authentic Munich Bier Festival atmosphere. With competitions, fancy dress fun and old time English sing-alongs in a fast moving hilarious show with audience participation it’s fun all the way. All the musicians have been involved in the scene both in the UK, Sweden Bermuda and France in various combos. Their leader has made numerous TV and radio appearances both here and abroad Now in this successful group these top class musicians show off their party pieces to add to the fun. In addition to the stage act they have radio mike amplification for German Christmas Markets as a strolling band. Angela Haigh, The Hunslet Club, Leeds.